Aluminium Access Systems Overhead Protection is designed to provide effective protection from construction material debris and other falling objects. The last thing any business wants is to injure anyone, let alone a member of the public. When working over public spaces such footpaths and walkways, it’s important to consider those below. With an aluminium gantry, you can work without worrying about the safety of the public. Why install an overhead gantry? Gantries and overhead protection are designed to ensure the safety of workers and pedestrians from falling construction materials, debris and other objects. Generally used for longer term solutions where an exclusion zone is impractical, they provide ongoing protection with a one-off installation and dismantling. Overhead protection may be a requirement imposed upon a construction site by council or other regulations. It is important that a gantry system is installed by approved professionals to meet these requirements. As expert providers of swing stages, we are well aware of the need to provide safe access below workers. 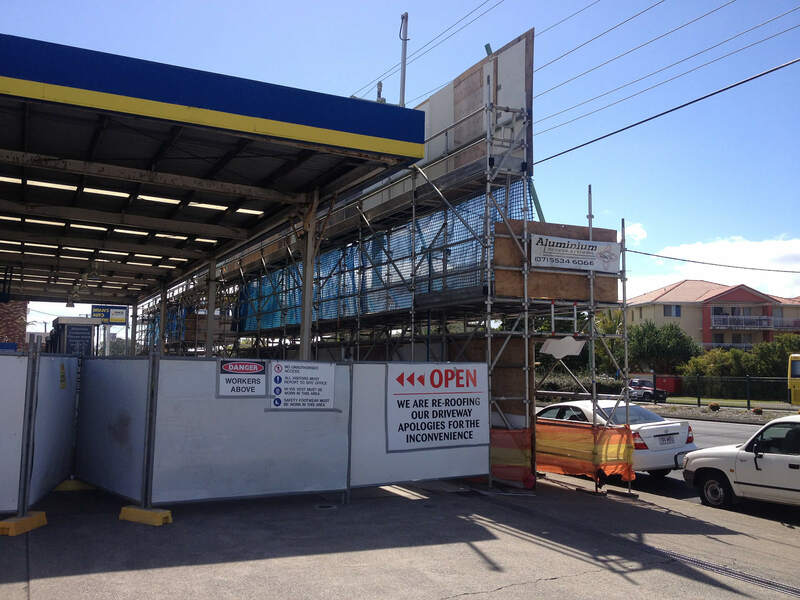 If you’re looking to get a scaffolding or access solution that goes above a public space, then get in touch with us to work out your options. We have a wide range of solutions that can be used to keep the public, and your business, safe. Aluminium Access Systems can install and dismantle an overhead protection system that suits your situation. Just get in touch with one of our experience team members to find out how we can work together.